I was looking for a Sunday lunch with our friends who have a toddler as well as us (our one, JW, was 22 months). After a bit of searching, I found The Anchor in Ripley. I gave them a call and booked for the following Sunday. A good sized car-park behind the venue meant it was easy to get a space. We went through the side entrance and were met and shown to our table. The Ripley seemed to have lots of cubbyholes, including the bar, a restaurant area (we were in a room next to it) and also a lounge with comfy chairs. The low ceilings and exposed beams showed the 16th century roots. Our table was laid out with wine glasses, cutlery and linen napkins! We had table water brought over. I ordered an “Anchor Steam” lager, Claire went with a glass of white wine. 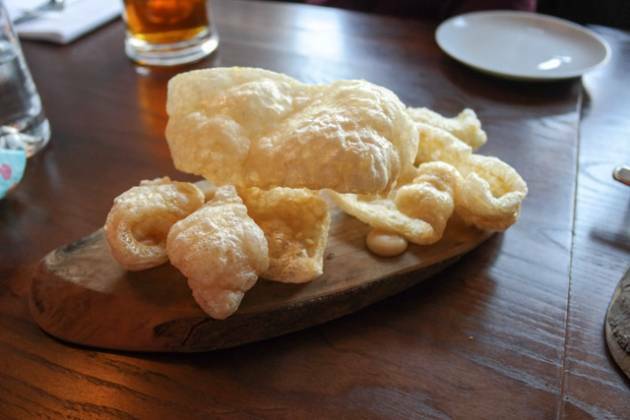 Instead of ordering starters, we asked for the “puffed pork skin” to share. 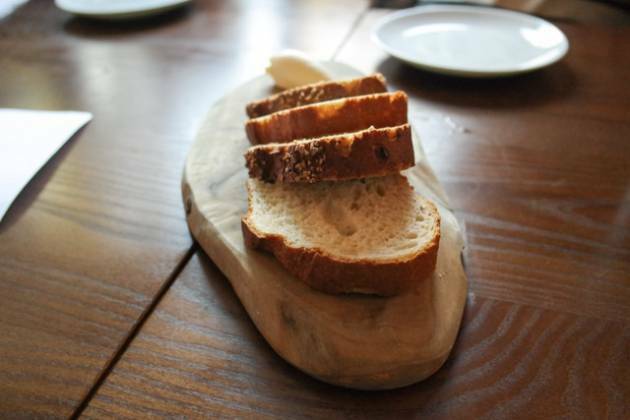 Some bread was also brought out for us to nibble on. I have to say, the pork was delicious, almost like “Quavers”, and the apple sauce was equally nice. One of our friends really didn’t like it, but everyone else was in agreement (including our son, JW). I ordered the roast pork, Claire asked for beef and JW had the child’s roast guinea fowl. 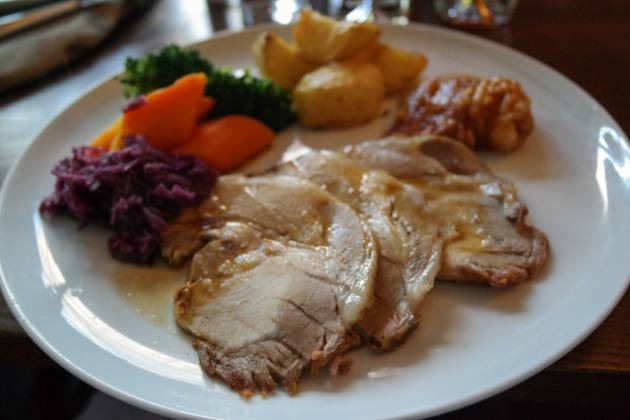 The presentation was excellent – I had 3 slices of meat, along with pork crackling, 4 roast potatoes, broccoli, carrots and red cabbage, along with a very large Yorkshire pudding. I was a bit jealous of Claire’s roast beef as it had grated horseradish on top (a particular favourite of mine since The Bull’s Head Hotel in Bromley who turned me on to horseradish). Tucking in, it was certainly a great Sunday lunch. The pork was very enjoyable, and the roast potatoes had great flavours. The vegetables were cooked to our liking, and the cabbage was good. The crackling was very nice, it didn’t taste fatty at all (and didn’t have the thick fat underneath). 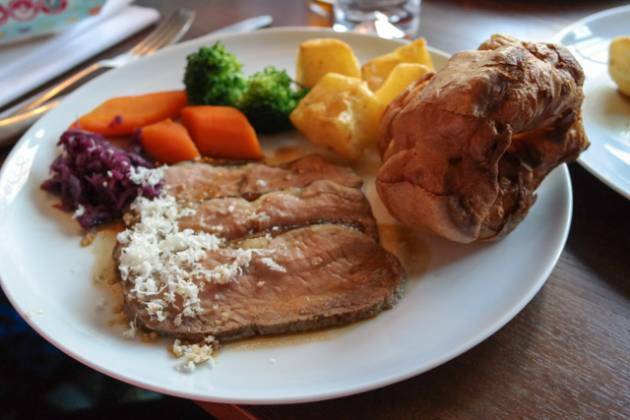 I had a slice of the roast beef – absolutely delicious! If there was a small complaint, it would be that the serving of jus, whilst very nice, was too small – Yorkshire puddings and roast potatoes take up so much and it meant some of the meal was just too dry. I haven’t marked others down for this, and I wouldn’t with The Anchor, it’s just a shame this is the fashion. After superb Sunday lunch, I was excited to see how the desserts would turn out. The chocolate ganche was wonderful, extremely smooth. 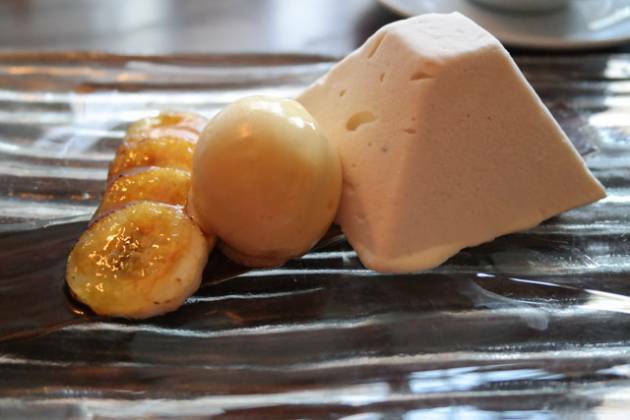 Claire ordered the Banana Parfait with sorbet – she shared it with JW, it went down a treat! There was a separate baby changing area within the disabled toilet – this mean I could help out if needs be. The high chair was clean and in good repair. 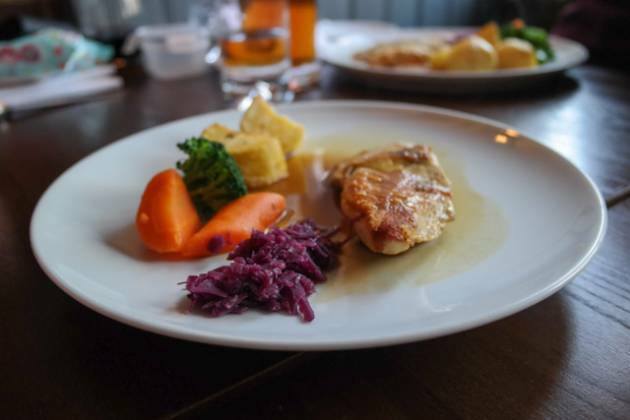 I like the fact that they provided a children’s roast dinner option (guinea fowl – so a nice and small bird, perfectly sized!) Whilst this venue is more for adults, we were not made to feel unwelcome at all – so definitely fine for a couple of well behaved children in a party. What a wonderful find! The service was friendly, polite and welcoming, whilst being professional. The venue itself was great, with all the hideaway rooms – a small adventure exploring the place! 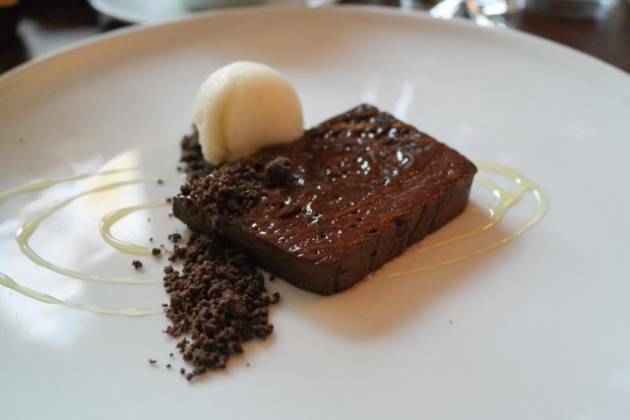 The food was top-notch – an inventive starter (well, nibbles – puffed crackling), superb Sunday lunch and finished with a great dessert. 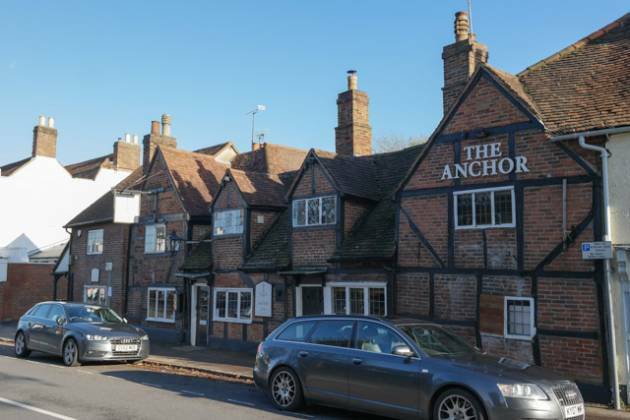 Absolutely no hesitation to recommend The Anchor in Ripley, Top Rated! Suitable for all celebrations and catch up with friends and family – book it, you will not be disappointed.